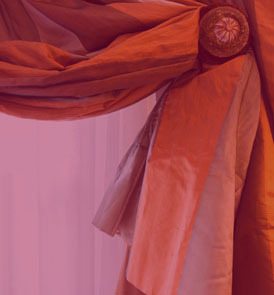 Are you looking for an experienced curtain repair Bentleigh service provider? Having trouble finding someone who is reliable and acknowledged curtain repair service provider at the same time? Well then, PJ’s curtains and blinds is one shop solution! PJ curtains and blinds provides exceptional services that are sure to get your attention. From supplying great quality curtains and blinds, to installing and offering curtain repair services, we are experienced solution providers for every problem related to your curtains and soft furnishings. We deal in a vast variety of curtains, blinds, Venetians and other soft furnishings. These services can be availed at both domestic and industrial levels. At PJ curtains and blinds we have a vast range of colors and fabrics such as linen, silk, faux silk, velvet; not only these, but other exquisite material for curtains is also readily available. The curtain swag and tails are tailored by the most experienced tailors at PJ curtains and blinds, which are sure to win your heart over! Moreover, Aluminium and timber (both genuine and synthetic) are available for sale on our outlet in Bentleigh. Our services include installation and curtain repairs in Bentleigh, making it easy for our customers to get their house or office curtains and blinds installed and repaired in one go. 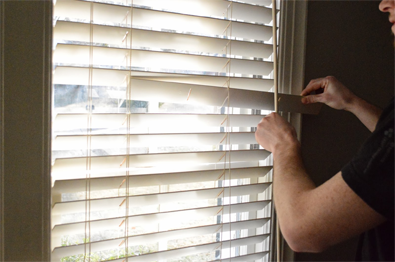 Our skilled and certified technicians ensure to install your draperies and blinds using techniques that make them stand firm, robust and longer than ever! Our curtain repairs Bentleigh service has the most efficient staff working hard to fix your curtain valances, soft, fabric pelmets and lined curtains without any damage. We provide curtain repairs Bentleigh services at fares that are within everyone’s reach! Such time-taking services performed with professional attitude are difficult to find elsewhere; but at PJ curtains and blinds, we make our customer’s needs and wants our first priority before anything else. That is why, we provide our professional services at very economical fares to assist our customers in their times of distress. At PJ curtains and blinds, we are accustomed to provide what is best for our valued customers. Our punctual and fast service is the benchmark of our professionalism. Our customers acknowledge us as the most amiable, professionally certified and quick curtain repairs Bentleigh service providers. So the next time you want to get your curtains installed or need a quick curtain repair, simply give us a call.